On this day 100 years ago (26th April 1918) my Grandfather, Harold Faulder, climbed out of a trench near Ypres leading his company across no man’s land towards the German lines. He did not return and his body was never recovered. His sons William Blizard and George Henry. George Henry was the father of Elizabeth Ann Willett who with her husband Everard William Willett adopted my mother, which makes William Blizard Williamson (senior) my Great Great Grandfather (by adoption). This posts summarises what is and is not known about this family and what can be done to break down this brick wall! Essentially we know little about their Irish life or of their ancestors in Ireland. Elsewhere I have written about Wilfred Willett and how his wife rescued him when he was left for near-dead in a Base Hospital in Boulogne. He had been injured on 13 December 1914 when crawling out into non-mans land to assist one of his men who had been shot. (Previous Post) How I am related (through an adoptive line) to the William Willett of Daylight saving fame. He is my Great Great Uncle, so I need to trace back to his father (also William Willett) and thence to him. (This Post) Checking out the structure of the family at the beginning of the 19th Century (William Willett, the elder’s ancestors). Hopefully this will provide a few hooks for those who think they are related to the Colchester Willetts. This article is fairly long and detailed – a briefer post about Willett Antecedents summarises some of the relationships. collate remarks about non-relations to act as a point of reference for other families which may, in this case, share the Willett surname. Where comments have been moved from another post I have inserted a reference to the original post. I have also inserted a summary and link to any work I have done on the suggested relationships. 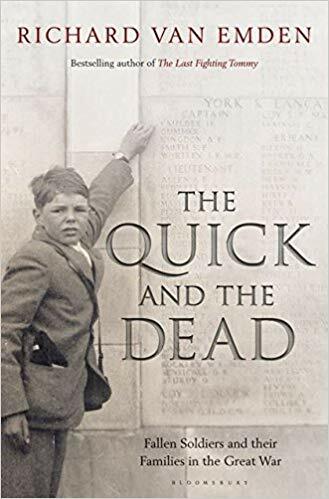 Richard van Emden will be publishing a book later this year about the Great War families left without a father or husband. Although stories of members of our family do not feature, some may recognise the cover. The picture was taken at Tyne Cot in the 1920s by Marjorie Faulder, widow of Harold Faulder, and shows my father pointing out his father’s name. A friend of the author saw the picture when I used it to illustrate a post on the Great War Forum and consequently Richard Van Emden approached me asking if he could use the image. My brother and I agreed (almost two and a half years ago). Google in their attempt to “capture all information”, have been digitalising huge numbers of mainly out of copyright books (more than 5.2 million). Now they have introduced a tool to try and analyse this corpus of data: Google NGrams. This allows you to graph by date of publication the occurrence of a word (or even selection of words). The faulder.org.uk domain is unaffected. Copyright © 2005 – 2019 (except where otherwise attributed) lies with David Faulder. Unauthorized use and/or duplication of this material without express and written permission from this blog’s author and owner is strictly prohibited. Short excerpts and links to content by the author may be used, provided that full and clear credit is given with appropriate and specific direction to the original content.